On this unit Turbo Charge is designed for 1000 watt lamps only. 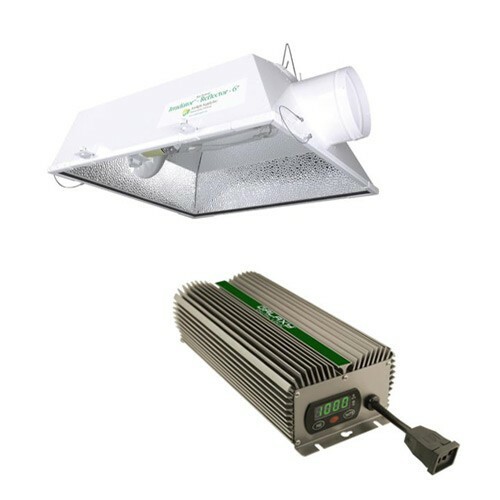 There are three ways to use the Select-A-Watt feature: It will properly drive a 400, 600 or 1000 watt lamp to ANSI specifications. For example: Set the switch to 400 watts, insert a 400 watt lamp into your socket and the ballast will operate the 400 watt lamp. The ballast will similarly operate 600 or 1000 watt lamps. The second option is to dim a 1000 watt lamp. Adjust the switch to 400 or 600 watts and the ballast will dim the 1000 watt lamp by 40 or 60%. The Turbo Charge feature will increase the output of a 1000 watt lamp by approximately 10%. Purchase a 240 volt power cord separately.